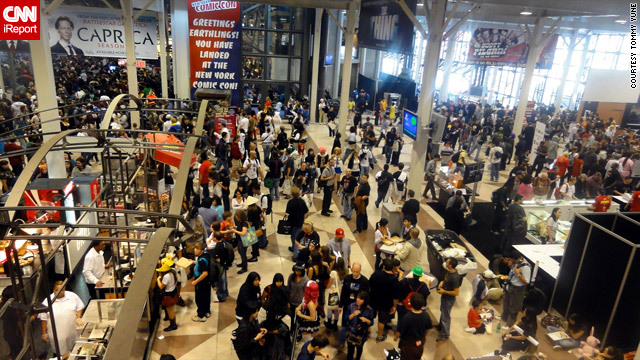 New York Comic-Con 2011 is under way, and CNN Geek Out will be covering the convention! But we'd like you to join the coverage as well. If you're attending the Con this weekend, you can post your best photos and video on CNN iReport. We featured your photos last year, and we're looking forward to seeing what this year's Con will bring. In the meantime, follow us on Twitter, as well as roving reporter Aaron Sagers, for all the latest from NYCC. Upload your iReports here and you could see them on CNN!